Who Needs to Track their Conditions? 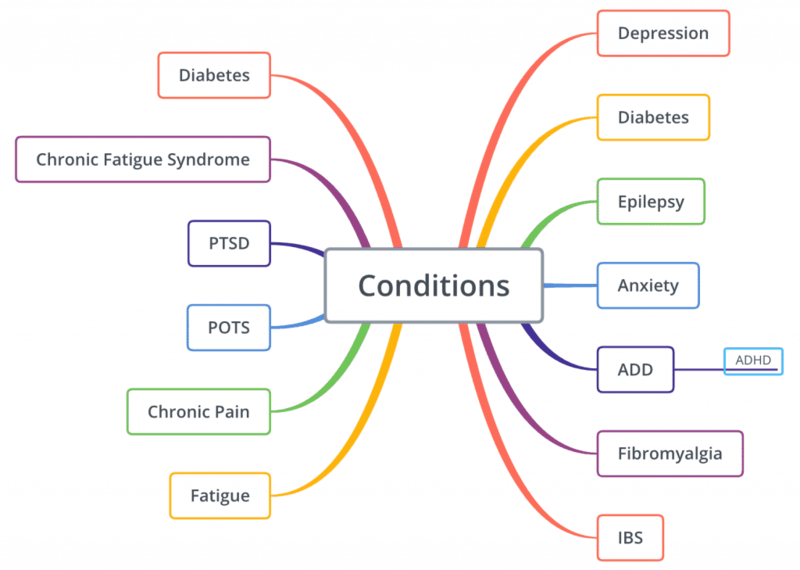 If you or a loved one has been diagnosed with a chronic illness you will know all the reasons as to why it is crucial to consistently track and monitor on-going conditions. 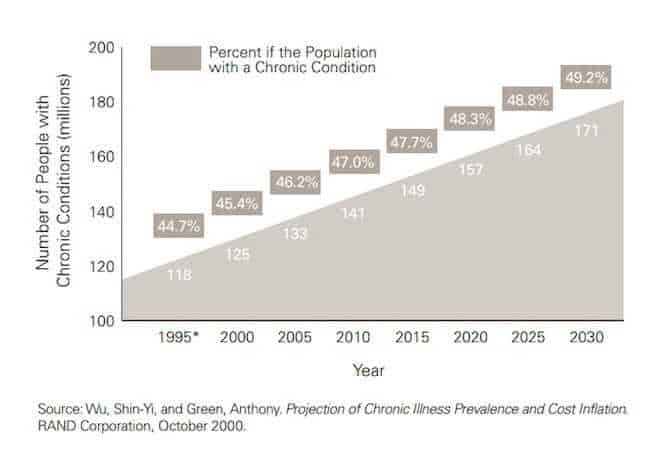 48% of the US population is currently suffering from one or more chronic conditions and it is only expected to rise for the foreseeable future (see chart below). CareClinic was designed for patients with Chronic diseases, we have made the platform robust and versatile to track and manage many different conditions effectively on the web, Android and Apple’s iPhone. Why Should You Track Chronic Illness’? Helps you adhere to your plan more efficiently, so you know what’s working and what’s not and why. Find triggers for your symptoms – Discover correlations that you didn’t know existed so you can better manage your health. CareClinic allows you to track specific symptoms, record current interventions and all other environmental factors that affect your health. With enough logging, you may view correlations in reports to better understand how different factors influence your health. The main problems with managing chronic conditions are: Physicians may lack important patient-reported data which impedes proper care, CareClinic bridges this gap. Below we list the most commonly tracked chronic conditions on our platform. Record your interventions (Treatment) in your private Care plan, this encompasses your medicine, natural remedies, physical activity, therapies, and even your diet. This may seem overwhelming at first, but with our user-friendly mobile apps (also available on the web) we make it as easy as possible, see an example initial symptom entry form. After it is added for the first time, you can quickly select your symptom and adjust the levels in your journal posts (which acts as your private net diary). 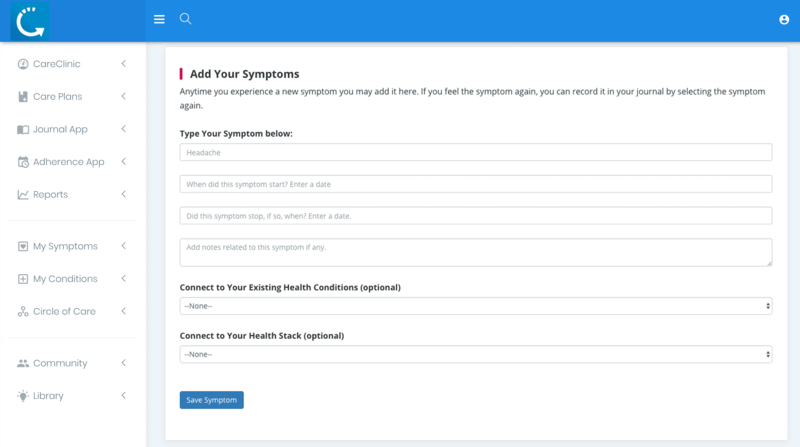 Track your chronic disease using built-in care management apps such as our clinically-validated journaling platform, reminder system, reports, and our circle of care app known as CareTeams. CareTeams also enable real-time data monitoring and allows for remote monitoring of your treatment if needed. 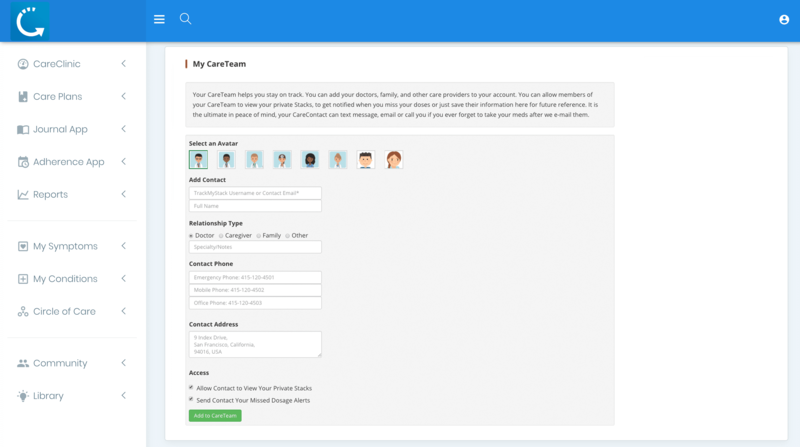 Your CareTeam portal helps you add caregivers that help you manage your health. CareClinic provides value-based care which bridges the patient-physician gap by ensuring adherence to care plans between visits, which is beneficial for everyone. Our vision for the future is that your care provider will find this data incredibly useful and provide more precision based medical interventions that can help you manage your health more meaningfully. Our platform assists in self-monitoring by using reminders, rendering useful reports, and by keeping everyone in the loop. All of this has proven to improve outcomes and potentially reduce symptoms over time. We encourage you to try CareClinic out for yourself, it is free to start, click here. Asher is the Founder of CareClinic. He is passionate about fixing health care and routinely hosts a self-care podcast with experts in a variety of health fields. He intends to use his skills to make managing health easier for everyone by leveraging AI to address the deficiencies in the current healthcare system. This entry was posted in Features and tagged flaredown, medisafe, twinehealth. Bookmark the permalink. ← Looking for a Self-Care App?